This 55 ft. flagpole once stood as a proud symbol in front of the old Fond du Lac County Courthouse from 1940 to 1983, when it was taken down to make way for Veteran's Park. The pole was turned over to Don Blakely, who was then president of the Fond du Lac County Historical Society by M. Anita Anderegg, then county executive. It was kept by the Blakely family from 1983 to 1998 when it was restored by the Fond du Lac County Highway Department. 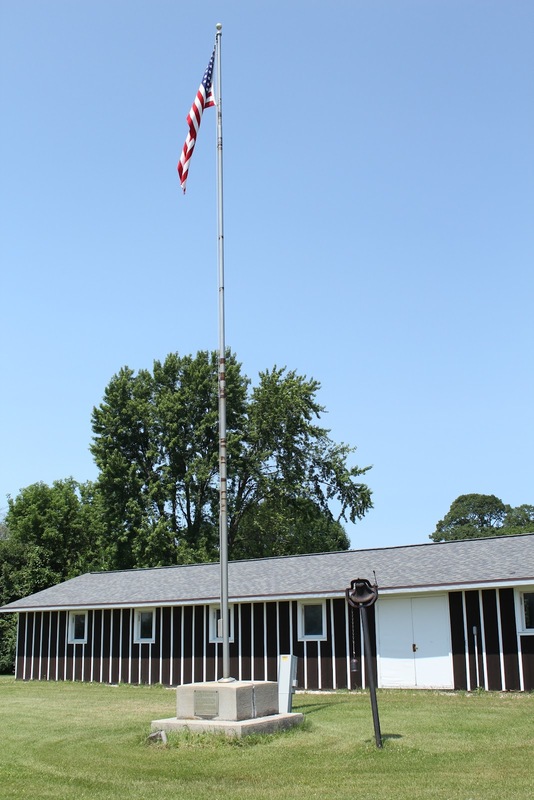 This pole and base was dedicated Flag Day, June 14, 1988, by the Fond du Lac County Historical Society and Elks Lodge #57. The one acre plot on which this structure sits was given to the Society by the city [sic] of Fond du Lac late in 1997. The flag and marker are located adjacent to the C.C.C. Replica Barracks at the Historic Galloway House & Village at 336 Old Pioneer Road, Fond du Lac, Wisconsin 54935. The flagpole is located adjacent to the C.C.C. Replica Barracks. The long walk to the flagpole's location. 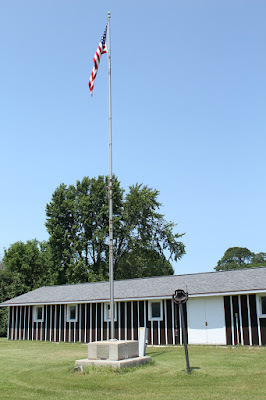 Historic County Flagpole is located at Galloway House & Village.